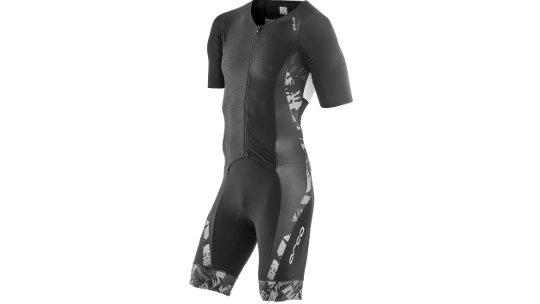 The Orca 226 men's short-sleeved trisuit as been specifically designed for long distance racing such as middle distance, 70.3 and full Ironman distances. Built with StretchSkin technology the trisuit helps to reduce muscle fatigue during the race which in turn helps to reduce recovery time after the race. Orca designed the suit to make transitions and toilet stops fast and easy with a fast and easy to access zip at the front of the suit. Nanocrystal technology found in the fabric of the suit helps to leave you feeling clean and comfortable throughout the race as it quickly wicks moisture away from the skin helping to regulate body temperature. Finally, two rear pockets at the back of the suit provide the perfect spot for your favourite gels, nutrition and hydration. This next generation technical fabric fits the body like a second skin to offer the muscle support you need. Its hydrophobic coating keeps the garment dry at all times, while at the same time offering UPF 50+ UV protection. This nanocrystal technology keeps the body fresh and promotes fast wicking so you feel comfortable and cool during the race. The exclusive opening system lets you save seconds in transitions and toilet breaks. The popular high performance and high quality, 4mm, 120kg/m3 density Tri-Tech chamois pad gives you unprecedented comfort. The two angled rear pockets, located in the lower part of the back, have all the space needed to store your nutrition within easy reach. 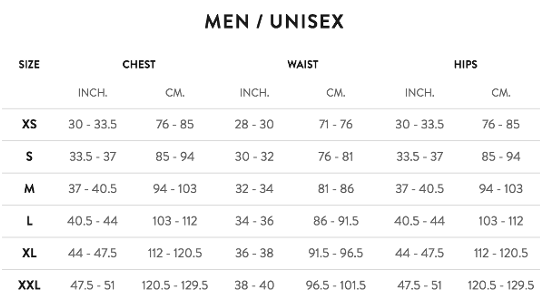 The elastic grip in the lower area keeps the shorts in place, delivering unparalleled comfort.